Deals on Nikon cameras and accessories. 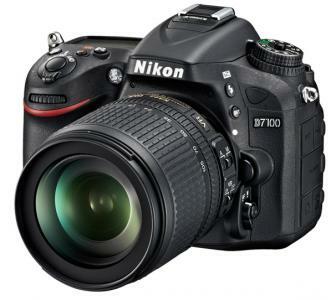 Nikon USA has just launched a $500 instant rebate on the Nikon D7100 18-140mm lens kit, reducing its price to just $1296- only $150 more than the body itself. This makes it a perfect time to upgrade to the D7100 if you've been considering this advanced DX body. Nikon has just officially launched instant savings on 15 of its F-mount DSLR lenses. See the links below to check out the savings. This time, there are no strings attached: you will save instantly on each lens without having to bundle it with anything else. For more information about the Nikon lens lineup, check out our Nikon lens database. Happy shopping and we hope you enjoy these special savings! 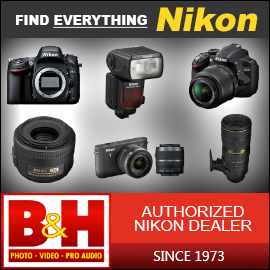 By clicking through our links and shopping at B&H Photo, you help support our site. As a Black Friday special, Nikon USA has launched unlimited instant savings on almost all the Nikkor AF lenses— including pro glass— but these rebates are only good for the next few days! Get your lenses at B&H and enjoy free shipping and bonus rewards on top of the instant savings. Read this post for links and deals about all the deals! These rebates will allow you to save hundreds if not thousands on Nikon lenses, and as we all know, such deals don't happen often. To take advantage of these savings, you need to bundle any Nikon DSLR body. You can then add as many lenses as you'd like to your cart at a reduced price. If you weren't planning on upgrading your camera, it's no big deal: just grab the cheapest body (the D3100), save on the lenses you want, and re-sell the camera later. We also summarize all the deals in the tables to follow.